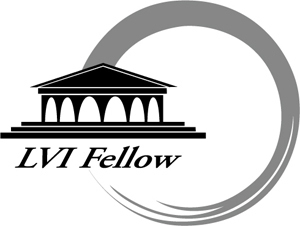 Dr. Ana Brightleaf has earned the designation of Fellow from LVI Global (LVI). The LVI Fellow designation recognizes that a dentist has completed a series of studies on the clinical skills and knowledge necessary to provide comprehensive aesthetic treatment for the dental patient as taught in LVI’s Core Series. The Fellow distinction is awarded only to those doctors who successfully complete a comprehensive exam covering the skills and techniques taught in the LVI CORE (Core I- Core VII) Series. Successful completion of the exam and awarding of the distinction of LVI Fellow recognizes the doctor’s ongoing commitment to Life Long Learning. In order to be considered an LVI Fellow a doctor must participate in the LVI CORE Curriculum (Core I- Core VII), which includes a minimum of 278 continuing dental education hours of training in advanced aesthetics and neuromuscular science and successfully complete the comprehensive examination to reflect an understanding of the clinical skills and principles taught in this series. Dr. Ana Brightleaf has set herself apart by choosing the path of lifelong learning and undergoing elective, continuous training at LVI. DR. Brightleaf has exemplified a desire to maintain the best clinical ability in order to offer a high level of Aesthetic Neuromuscular Dentistry. This dedication distinguishes Dr. Brightleaf by proving her dedication to quality of care and a desire to master complex procedures in order to provide the best comprehensive care for his/her dental patients. For more information, please visit www.lviglobal.com and www.brightleafdental.com.